As nearly a quarter of the world’s population (2bn) regularly log into Facebook, Instagram hits 700m users and even little old Twitter holds vaguely steady at 300m, there’s no doubt we are firmly ensconced in the Social Age. Whatever the ramifications of this addiction to sharing and validation, we are being invited to go ever deeper in our range and depth of emotional response, as the ubiquitous platforms look for ways to not only ostensibly improve the user experience but offer advertisers even greater segmentation of user data. It’s here the social titans have firmly grasped what Carnegie so succinctly surmised. Algorithms are powerful indicators and predictors, but it’s all just soulless forecasting without an emotional stamp of approval. For brands and businesses et al, this doesn’t change the game plan – it merely increases the emphasis on producing great content. If you can’t produce stuff that makes people react positively, then you may as well keep mum. Content makers need to ask themselves – will this get consumers off their proverbial seat and dancing all the way to the real-world aisle. With social this can be hard – with mute as default, we automatically have to work harder to engage a fan. If we lose music’s power to emotionally connect, we had better have some flashy captions to get in the game. We need to be aware that the game is a double-edged sword that is continually sharpened as technology progresses. As AR layers become integrated with our favoured social apps, marketers will be one step closer to the conversion holy grail, empowered with the ability to drive home a purchase – but also equally the unwanted capability of putting a buyer off with ill-judged or badly timed content. We’re closer, but get too up close (and personal), and it’s just bad retargeting all over again. In dance terms, for every Dynamite routine, there’s a David. For all the brilliant hits, we continue to see brands struggle, either sticking safely to product and information heavy executions, or trying to get to the emotional core of its story, but just getting it wildly wrong. 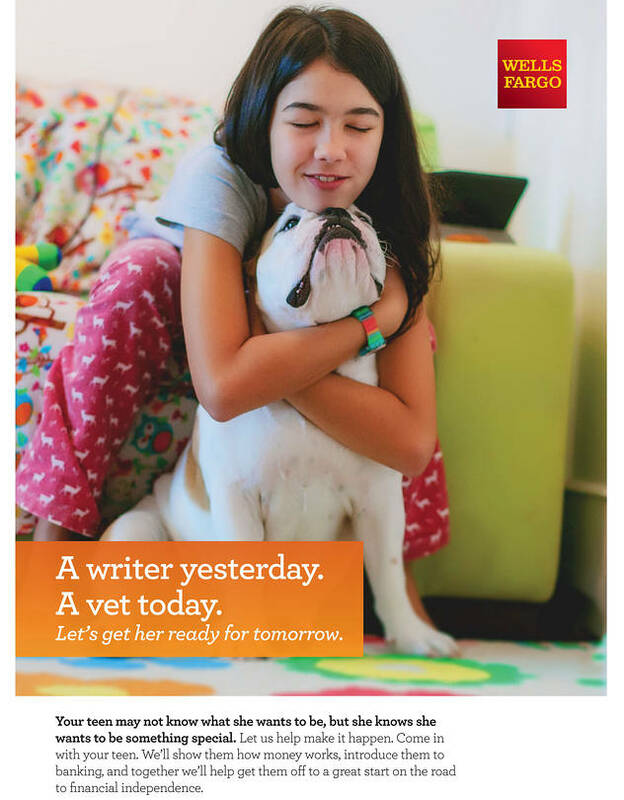 Perhaps Wells Fargo forgot that writers, well write. Especially when they’re wronged. Instead of force-feeding the message, we need to let consumers find the joy, the humour, the elation – so that in the end, they don’t even need a reason. They just do it.